Continuing with the Advanced Varisai Series for students of Carnatic Music. This varisai is a combination of Sarali, Dhattu and Jantai Varisai. Obviously, the student learns to sing the swaras without slipping in swara sthanas and sruthi after thorough practice. Continuing with the Third Ubhaya Vakra Raga in the series. Raga Rithigowla-a rakti raga- with a mesmerising melody is taken up with an Analysis of the Krithi Janani Ninivinaa by Subbraya Sastri, the son and disciple of the Great Syama Sastri. Both Syama Sastri and Subbaraya Sastri composed krithis and the highlight is the content of the krithi, which would literally be a personal conversation of a Child to his Mother ! The dialogues are mostly, Who is there to take care of me other than you ! Continuing with the Second Ubhaya Vakra Raga in the series. Raga Sahana-a rakti raga- with high melodic content is taken up with an Analysis of the Krithi Giripai Nelakonna Ramuni by Saint Tyagaraja. Of course, the Krithi is in praise of Lord Rama. 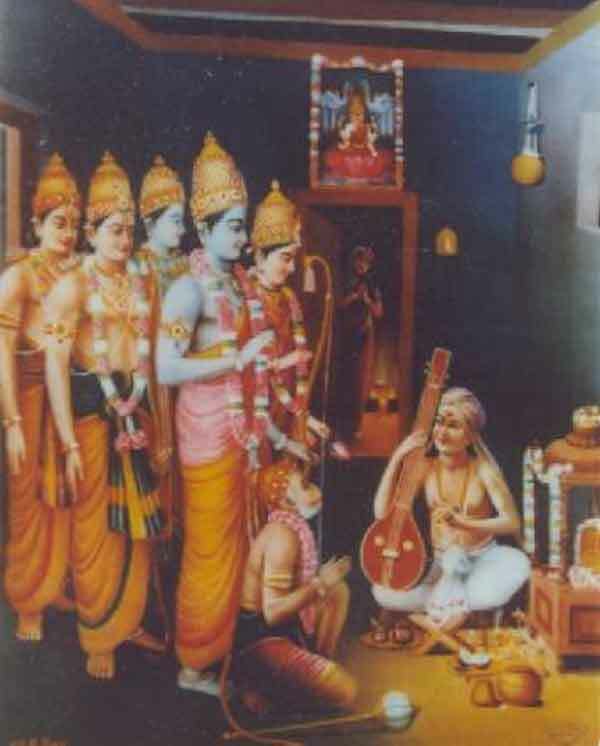 Tyagaraja had got a vision of Rama who promised him salvation in 10 days. 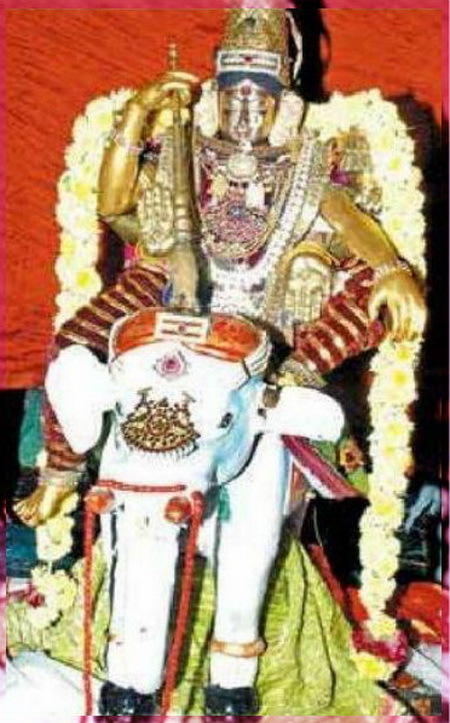 This Tyagaraja reminds Rama (kaluvarinchagani padipUTalapai, gaachEdanani). ‘You promised me salvation in 10 days. Here is an attempt to present a series of Analysis of Ubhaya Vakra Ragas – Neelambari, Sahana and Ritigowla with respect to the krithis composed by Muthuswamy Dikshitar,Tyagarajar and Subbaraya Sastri respectively. 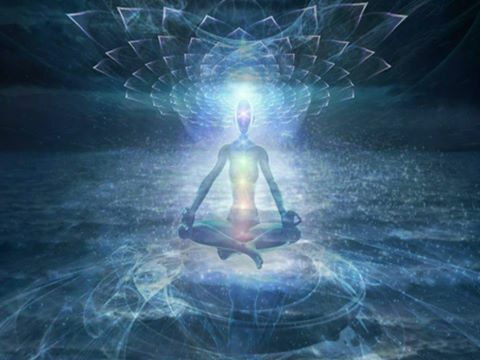 Ubhaya Vakra means that the notes in both ascent and descent follow a zig zag pattern. The vakra phrases lends a unique beauty to these ragas. The first raga chosen is Neelambari and the Krithi is the immortal Amba Neelayathakshi set to 2 kalai Adi Talam. 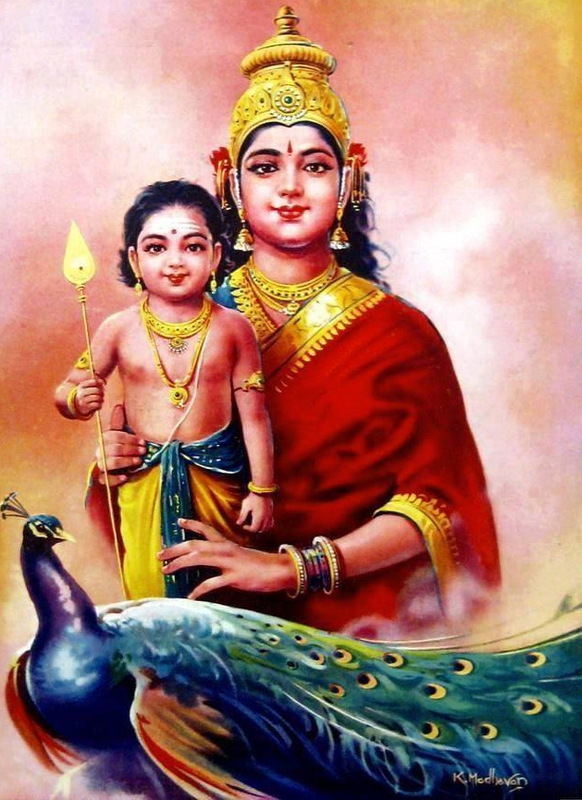 This Krithi is about the goddess Neelayadakshi. Neelayadakshi means the one with the blue eyes. She is in the form of a pubescent girl, and is believed to be one of the Shakti Peetams. She is also considered to be one among the five most important goddesses, all in different stages of life. These are – Visalakshi (Kashi – Child), Kamakshi (Kanchi – young girl), Neelayadakshi (Nagai – pubescent), Kamalambigai (Thiruvarur – young woman) and Meenakshi (Madurai – married woman).